After receiving regular reminders from Carolyn about the Drunken Argyle vest, I decided to stop procrastinating and try to get started on all that intarsia. 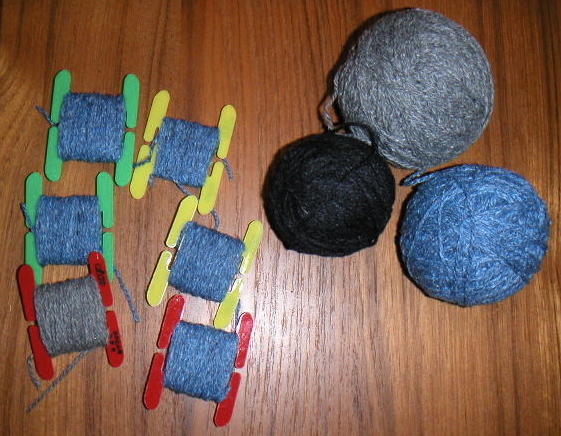 I only got so far as winding up some bobbins because it was pretty late. I know from experience that I need to be fully alert when reading any kind of chart if I want the garment to turn out properly. I also ran out of bobbins. In addition to the six you see here, I need seven more!